We’re banking Scripture in our heart again this year. We’re allowing God’s Word to breath life into our very depths. To have it and all posts delivered to your email inbox (easy, right? ), make certain to sign up here. #ScriptureBANK2016 will look slightly different from #ScriptureBANK2015. Think QUALITY – not QUANTITY. Perhaps it’ll be easier to tuck those scriptures deep within us as preparation for time when needed – a breath of life for those times when all seems lost. I desired to hide more of God’s Word in my own heart and opened an invitation for you to join me in the journey last year. #ScriptureBank2015 was birthed from that desire. But a new scripture each week proved overwhelming to me. Gah! I know ~ it was only 1 verse a week. However, it became more of a checklist thing, not a heart offering. 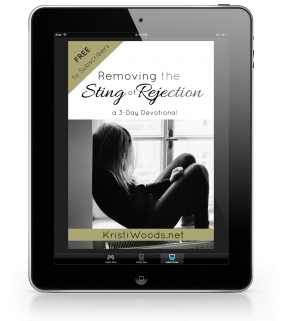 The process became lifeless, not life-giving, as I went through the motions. For some of you, memorizing is like a walk in the park. For me, it’s a marathon around the city ~ and it takes that long and seemingly as much sweat! But grabbing God’s Word and tucking it deep within the heart is essential. I’m determined not to give up. You too? A multi-year “read-through-the-Bible-in-a-year” dropout, I found God’s Word leaped to life and was far more manageable through this “3 chapters a day” program. It’s been a success! That success is what sparked #ScriptureBANK2016’s revamp. It’s a quality, not quantity, thing. Maybe you’ll benefit from that, too? That’s it! Easy peasy, from January through December. And remember, you’re welcome to print the graphic above for personal use. Simply right mouse click and go. Linking with Intentionally Pursuing, Purposeful Faith, Testimony Tuesday, Jennifer Dukes Lee, and Suzie Eller. 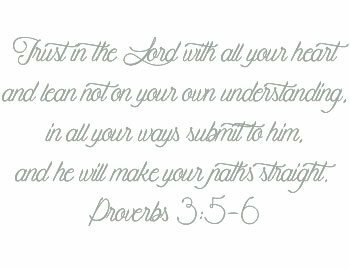 This is a great verse to memorize. I so affirm making it about quality not quantity! But sticking this one on the mirror and reading it every morning for the next 2 weeks would be super encouraging. Thank you, Kristi. God’s Word is a keeper, isn’t it Lisa? Yes! With the Word of God…. What a great idea! It’s been awhile since I practiced the discipline of memorizing scripture. Thank you for the encouragement! Victories! Yes! I heard someone say the other week, “… we don’t fight battles FOR a victory, we fight our battles FROM a victory!” and I thought, whoa! This changes everything. Even how I dive into His Word! I think this discipline is something we’re going to need to ground us as the world becomes a shakier and shakier place to be. Love dropping by your blog as always! Hi Christine. Always love hearing from you. Loved hearing your “victories” comment, too. Yes! C’mon along, girl. Would love to have you for this heart thing. Kristy, I’m more of a quality than quantity person. I love your proposal. Count me in! Would love to count you in, Debbie. Let’s do this! Amen, Betsy. Lisa’s speaking wisdom here. 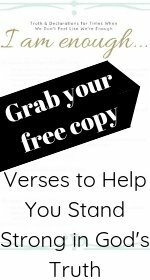 Love your scripture memory challenges! Thank you for your kind comment on my new blog! Kristi, I love this idea! I’m so glad I’m not the only “read-through-the-Bible-in-a-year” dropout! I begin with good intentions and then slowly get pulled off course. I am also a quality and not quantity girl! Sometimes I can spend thirty minutes diving deeper into one verse. Other days i can read through 3 or 4 chapters. I love that your providing a system to help others read the Bible! Thanks for your focus on scripture memorization! Truth is what stands between our hearts and the next sin. Truth. Yes, truth. Thanks for stopping in, Michele. Love this Kristi. God’s Word is truly life for our bones. What a difference He makes.